How do you rank waterfalls in a country that has literally hundreds of beautiful falls, seemingly at every turn? Well, after careful thought and a lot of exploring, I've come up with 5 that are my personal favorites. I'll explain why below. This absolutely stunning waterfall is very popular, and just off the ring road along the south coast, approximately 2 hours from Reykjavik. 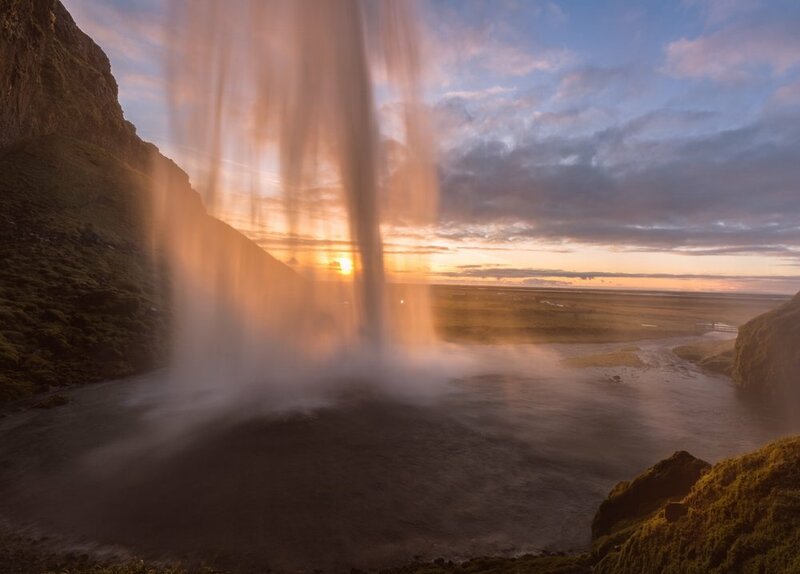 This waterfall is a photographer's dream. Its moody, powerful, and can be photographed at any part of the day. It is 197ft high (60m) and you can climb to the top of it and if the sun is out, you can see a rainbow off the edge of the falls. This hidden gem is right next to a very famous waterfall, Seljalandsfoss. You can actually get to it from the same parking lot. Its a tall waterfall that fells like its inside a cave. Be prepared to get very wet, but since you probably went to Seljalandsfoss just before coming here, that shouldn't be a problem! You can climb up to the top and look down which is neat, but the real fun is being at the base. This ultra popular waterfall is about an hour and 30 minutes from Reykjavik along the ring road on the south coast. Its a massive waterfall that you can actually walk behind into a giant concave where this shot was taken. You will definitely have a lot of company at this waterfall, and for good reason, its absolutely sunning. Try and make it for sunset, you won't be disappointed! This icy blue hidden gem ranks high on this list. It is one of my favorites because of its uniqueness. The color of the water was so blue, and it made such a beautiful contrast with the black banks of the river. Also, as a HUGE bonus, we were the only ones there at sunrise! It is located near Geysir and Gulfoss, and you have to actually park in a neighborhood and walk about 15 minutes along a side road and on a trail to reach it. But I can tell you it is worth the short walk. And if you've been to Iceland you know how much its worth to see a place like this all by yourself! I highly recommend MAPS.ME on your smart phone which has the trail to this place. You can also download offline google maps to help as well. This hidden gem is located way up in the West Fjords. Its about 5-6 hour drive from Reykjavik, most of it gravel roads. There are several reasons why this is my favorite waterfall. First off, its HUGE. Its approximately 325ft high (99m) and at its widest, its roughly 190ft(60m). Its truly massive. Secondly, you will most likely have this place all to yourself. The West Fjords are remote, and few people will make this drive out here. But I can assure you, its worth it. We were here for about 6 hours in the morning and saw 4 people that stopped by, took some pictures, and then left. It was amazing. Not to mention we saw the Northern Lights the night before in this very spot! There are so many waterfalls in Iceland to see and photograph. 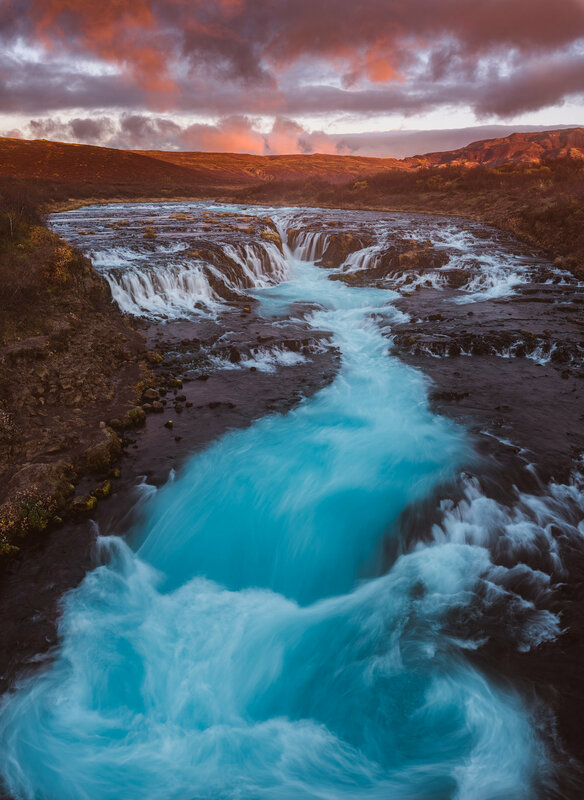 Places like Gulfoss, Svartifoss, and Godafoss are some of so many beautiful and unique waterfalls that need to be explored. Leave a comment below if you've been to one of these, or if you have one or two on your list! Also, check out my YouTube channel for my Iceland series that shows these beautiful waterfalls!